Gem jars are shouldered Mason jars that came in (Imperial) pints, quarts and two-quart sizes. What is now unique about them is the mouth size on them: the mouth size of 78 mm falls in between the now-standard sizes of 70 mm (regular) and 85 mm (wide mouth). What is also unique is that Gem lids are now the story of how small-town Canadian home canners stood up to the corporate bean counters at Newell (then known as Jarden) — and won. Click here if you wish to jump down straight to that story. Why were the Gem jars so popular? The slightly more generous mouth size 0f 78 mm made them more popular in Western Canada than the narrower regular mouth size 0f 70 mm, which nevertheless is slowly displacing them because like the older American “63 mm” narrow mouth jars, production of Gem jars has been discontinued. The jars were somewhat unique as well in that they worked both with the three-piece metal ring, glass lid and rubber seal system, when that was popular, but also adapted equally well to the more modern two-piece metal ring and metal lid system. This meant that people switching to the new two-piece lid system didn’t have to buy all new jars. 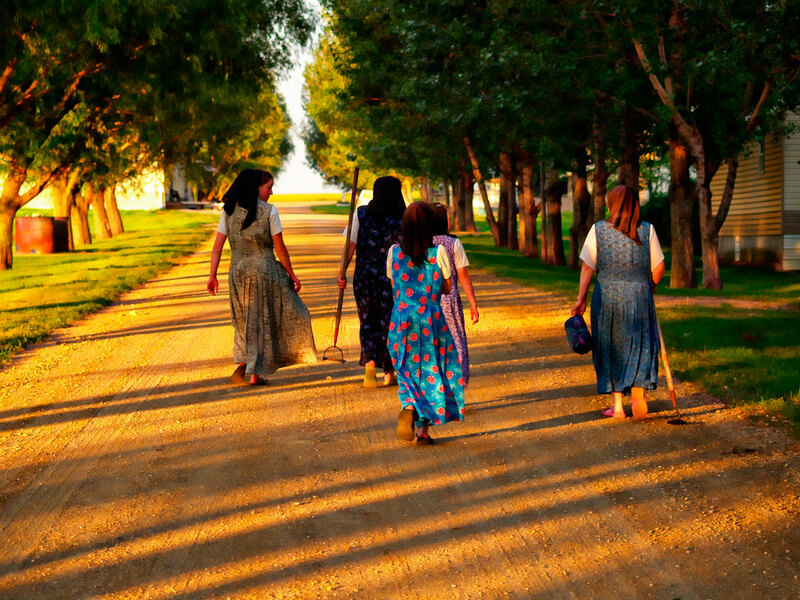 The jars are particularly popular in Hutterite communities, who are similar to the Amish and Mennonites, and do home canning on a massive scale with Gem jars. Note that no Gem jars are being made any more, so as breakage of jars occurs, the market for the lids will get smaller, and metal lid production will likely be discontinued. If you are using the glass lids, you need a taller metal screw band that can accommodate the thickness of the glass lid. If you are using the metal lid, you need a shorter metal screw band to take into account the thinness of the metal lid. Either type of ring will be taller than the rings now used for 70 mm and 85 mm jars. The rings used to be made of zinc decades ago but aren’t anymore. Gem jars can be used with metal lids or the original glass and rubber seal lids. Many American designs of jars also used the glass lid with rubber seal technology. Do remember, however, that glass lids are recommended against by the USDA. It’s not a food safety issue per se — if you get a seal and keep a seal, it’s safe. Rather, it was precisely that which was the issue. 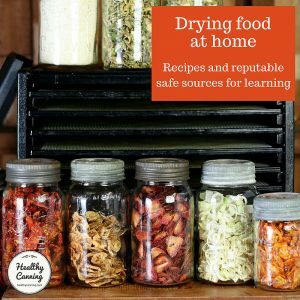 Far too many sealing failures occurred with glass lids with a lot of complaints from consumers about food loss, and in the end, the main goal of food preservation is food preservation. Screw on finger finger tip tight, but not overly tight, just to be able to vent a bit. Just as you would for a Tattler lid. Tighten, then untighten just a snitch, a quart of a turn, if that. Officially, the rubber rings are single use, but most end users say the rings can be re-used over and over, until they start to crack. Brands of rubber rings such as “Viceroy Rubber Fruit Jar Rings” “For use on Corona, Jewel, Crown and Gem Jars” are available. They can be bought at stores such as Canadian Tire or Home Hardware. The Viceroy Company is in Weston, Ontario. The rubber rings were made in Canada but now are made in Sri Lanka. Tattler lids have said (in 2012) that they may at some point in the future considering making gem sized lids. KarenBC posting in Backwoods Home Forum. 7th August 2012. Accessed March 2015. Gem jars with their wider mouths were made in Canada by companies such as Dominion Glass, Domglas, Consumers Glass, Bernardin, etc, as early as the 1930s. 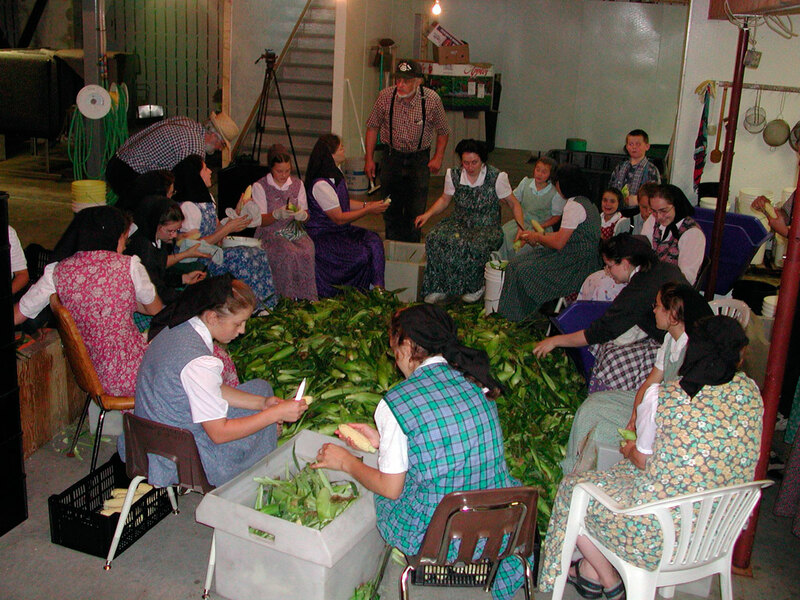 They were never widely available in the States, except for ones that drifted south as people moved back and forth. Gem jars were particularly popular in Western Canada. GEM became the generic term used in Canada to describe fruit jars or as Canadians called them ‘sealers.’ ”  Lockhart, Bill, et al. Consolidated Fruit Jar Co. Version from 22 August 2014. Page 462. Accessed March 2014. In 2000, Bernardin, the last company still making the jars with this mouth size, ceased production of the jars. Rosenbatt, Joseph. Commodity Technology: Is the Jar Full at All? March 2003. Accessed March 2015. Bernardin was also the only supplier of metal Gem lids left. Prairie home canners lose lids, temper. CBC News. 26 August 2002. Accessed March 2015. 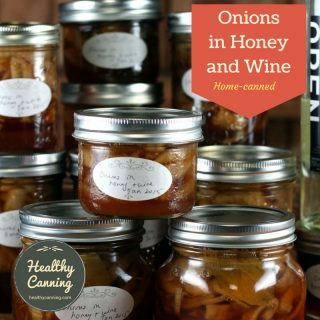 Gem jars also work with glass lids and rubber rings, but by that time — partly at the urging of canning authorities such as Bernardin itself– most canners using the jars had switched to the two-piece metal lids and discarded the older three-piece glass lids. In 2002, Bernardin announced that production of the lids had also been discontinued. The issue hit the national press. The Gem lids issue is being documented by CBC television’s Marketplace, which was to fly a prairie home canner to Bernardin’s manufacturing plant in Muncie, Indiana.” Rogers, Diane. Food preservers say they need a million gem lids. The Western Producer. 31 October 2002. Accessed March 2015. When they started making (metal) snap lids, I got rid of all my glass lids with rubber rings and aluminum twists. I didn’t think I’d ever use them again. But now you can’t find glass lids or snap lids,” said Ryman-Jensen, who grew up using Gem jars.”  Bryksa, Joe. Canners in a Pickle: Sudden demise of gem jar lids leaves Prairie folks feeling betrayed. Winnipeg: Winnipeg Free Press. 21 August 2002. 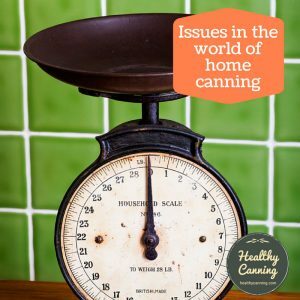 Bernardin Canada received hate mail and several petitions from angry canners when it suddenly stopped producing the popular lid.”  Home canners claim victory over Gem jars. CBC News. 24 January 2003. Accessed March 2015. Production of the lids had always been in Canada, even though Bernardin had always been an American company. Bernardin was bought by Newell aka Jarden Newell was actually named Alltrista Consumer Products Co. at the time in 1994. The parent company, Newell, had built a new manufacturing plant in Muncie, Indiana and opted not to include the Gem lid size in the plant’s capability. They said that the Gem jar and lid market was too small to service, representing only 10% of their business in Canada.” Rogers, Diane. 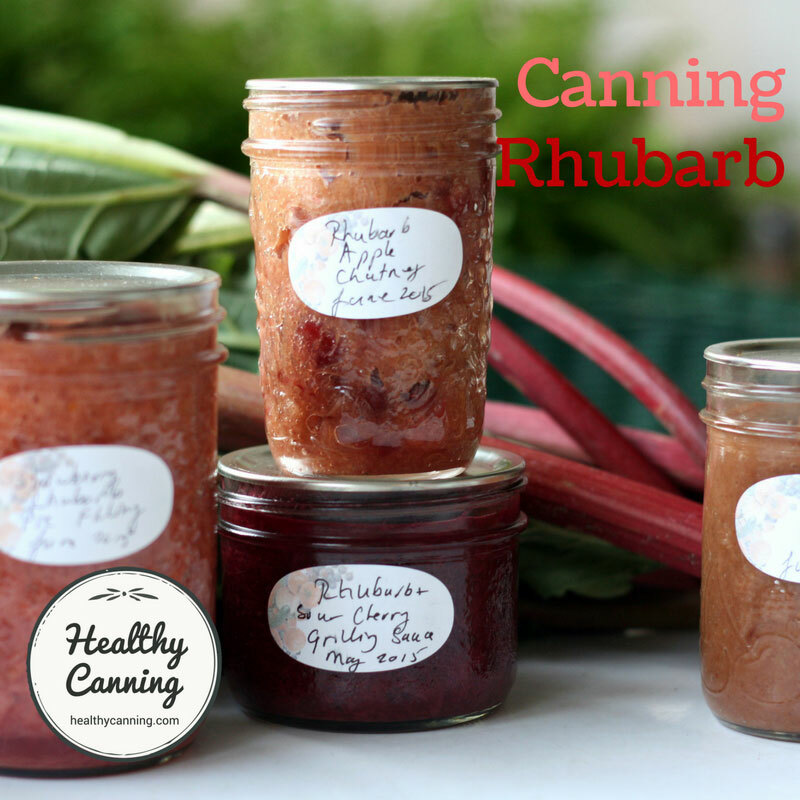 Home canners snap up new gem jar lids. The Western Producer. 24 July 2003. Accessed March 2015. At the time, Judi Kingry, a transplanted American and now a co-author of the Ball / Bernardin Complete Book, was the Marketing Manager for Bernardin, and had to deal with the press. In 1995, the 78-mm lids accounted for 13 per cent of the total demand for jar lids in Canada. By 2001, the demand had fallen to well under 7 per cent, Kingry said. Also in 2001, Bernardin consolidated its production into larger, more modern and efficient facilities in Indiana… We didn’t feel the volume of the existing gem market warranted installation of manufacturing lines for gem lids or jars,” Kingry said, adding production of aluminum jar bands used with glass tops and rubber rings also was discontinued as of this year… We encourage consumers to move to standard or wide-mouth mason jars.”  Bryksa, Joe. Canners in a Pickle: Sudden demise of gem jar lids leaves Prairie folks feeling betrayed. Winnipeg: Winnipeg Free Press. 21 August 2002. The fact is, this is a niche market and makes up a very small number of our consumers,” [Judi Kingry of Bernardin Ltd.] said. “I have heard reports from out west that these (gem jars) are our most popular jar, and that is completely inaccurate. 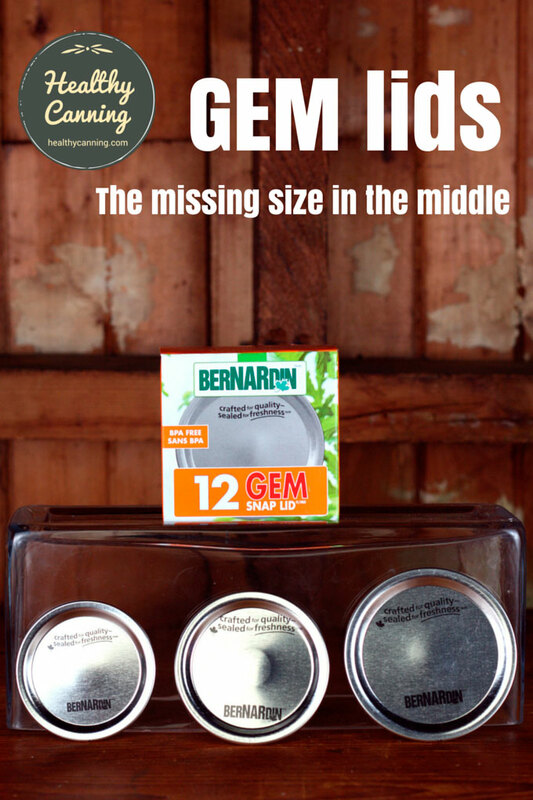 Our most popular jar is the standard 70 millimetre size.”  Bernardin brings back gem jar lids. The Meridian Booster. 29 January 2003. 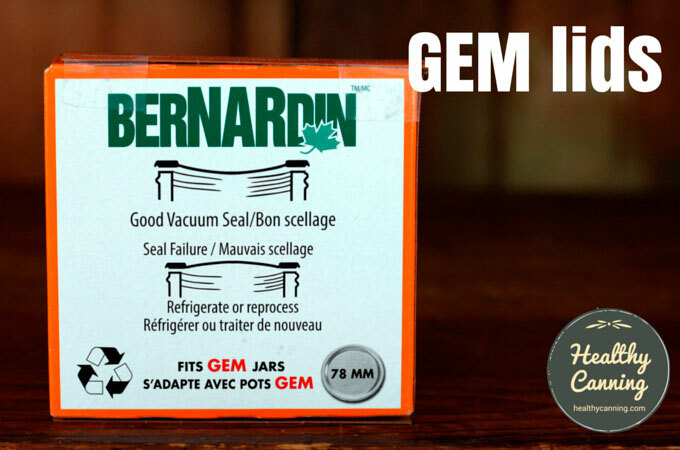 Accessed March 2015 at https://www.meridianbooster.com/2003/01/29/bernardin-brings-back-gem-jar-lids. One of the main grievances was that people felt that Bernardin didn’t even offer existing Gem jar owners an upgrade or trade-in path. Rosenbatt, Joseph. Commodity Technology: Is the Jar Full at All? March 2003. Accessed March 2015. Bernardin replied that it might offer something to individuals that contacted them: “We know a lot of consumers are upset and we do understand. 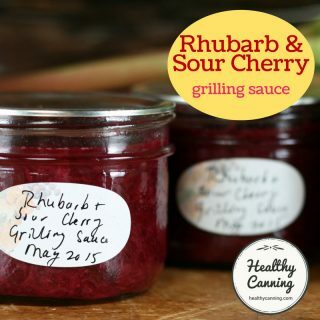 We’re offering consumers incentives to try other jars if they contact us,” Kingry said. Bryksa, Joe. Canners in a Pickle: Sudden demise of gem jar lids leaves Prairie folks feeling betrayed. Winnipeg: Winnipeg Free Press. 21 August 2002. A lobby effort was launched. The Canadian parliament was urged to force Bernardin to keep on making the lids. Marla Rauser from Lloydminster  Rogers, Diane. Food preservers say they need a million gem lids. The Western Producer. 24 July 2003. Accessed March 2015. .
Lori Blight of St. Andrews, Man  Prairie home canners lose lids, temper. CBC News. 26 August 2002. Accessed March 2015. Paulette Lysyshyn of Unity, Sask  Prairie home canners lose lids, temper. CBC News. 26 August 2002. Accessed March 2015. The protest also included 27,000 members of the western Hutterite communities, each the owner of hundreds if not thousands of Gem jars. A man named Gordon Tirebuck had worked for 9 years as General Manager of the Bernardin Canadian plant in Etobicoke, Ontario before he lost his job when production there was moved down to the States. 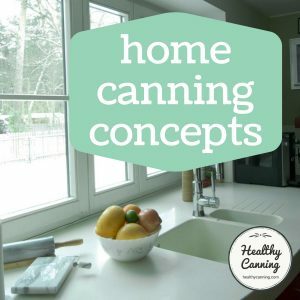 In what could perhaps be termed a “best served cold” move, he announced that he would set up a company called Canadian Home Canning Inc. specially to make the lids. His company was a success as Canadians snapped up his lids. In July 2003, he said that he had anticipated demand for 5 million lids and ended up shipping 10 million instead. Rogers, Diane. 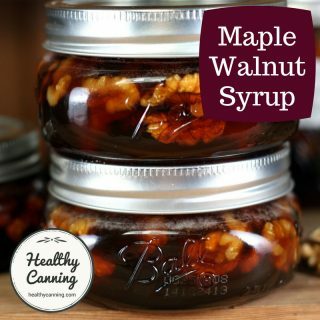 Home canners snap up new gem jar lids. The Western Producer. 24 July 2003. Accessed March 2015. He also hoped to start production of replacement screw bands. The people at Alltrista / Newell running Bernardin were caught by surprise. 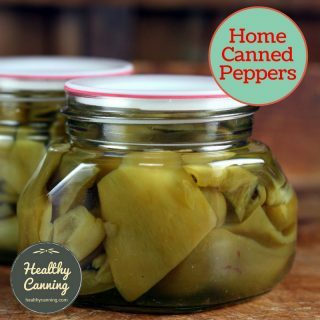 Instead of gaining a raft of new sales from tens of thousands of people buying all new mouth-sized jars, those canners had not only kept their old jars but were now giving all their lid money to someone else. This caught the eyes of the Wall Street journal, which in turn caught the eyes of the people at the head of Newell, the mother company of Bernardin. At the end of 2003, Martin Franklin, the President of Newell, ordered production of the lids re-instated for Bernardin. 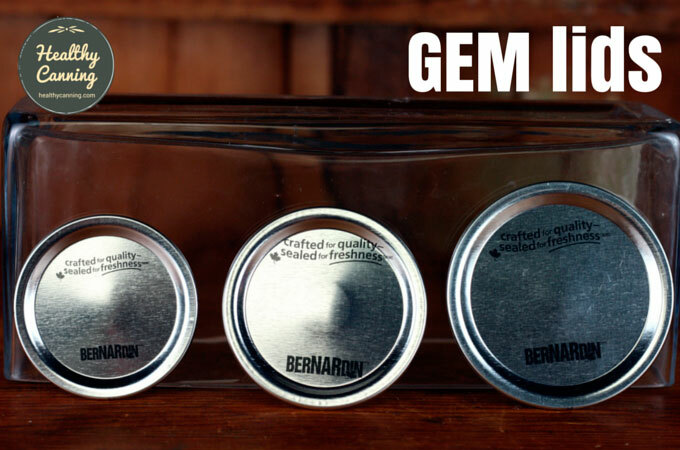 Bernardin brings back gem jar lids. The Meridian Booster. 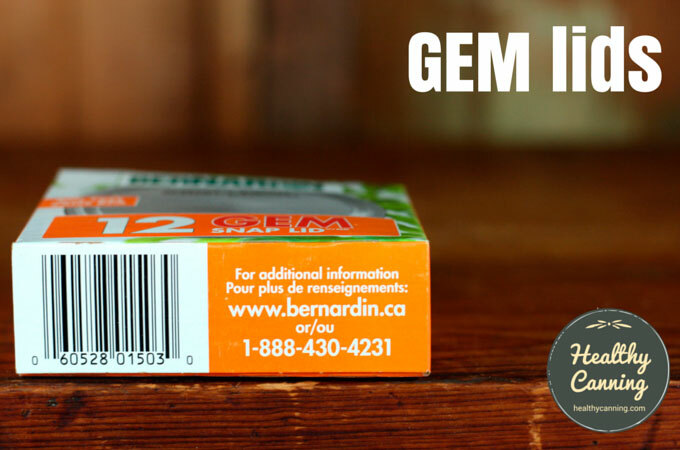 Adjustments to the production line in Muncie, Indiana, suddenly became possible, and Bernardin re-entered the Gem lid market. Judy Kingry says the announcement to once again produce the lids comes after long debates within the company. ‘It’s kind of like in football’, she explains, ‘The decision went to the replay officials and the replay official reversed the decision. So we are going to reinstitute the production of Gem lids. 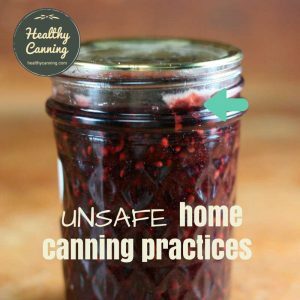 '” Home canners claim victory over Gem jars. CBC News. 24 January 2003. Accessed March 2015. All of the equipment has been ordered and we should be ready to go by April,” he said. “I think it’s going to go well.” Tirebuck said he’s not going to quit just because Bernardin will make the lids again. “I’m in this for the long haul, and I’m going to try damn hard to compete with them,” he said. 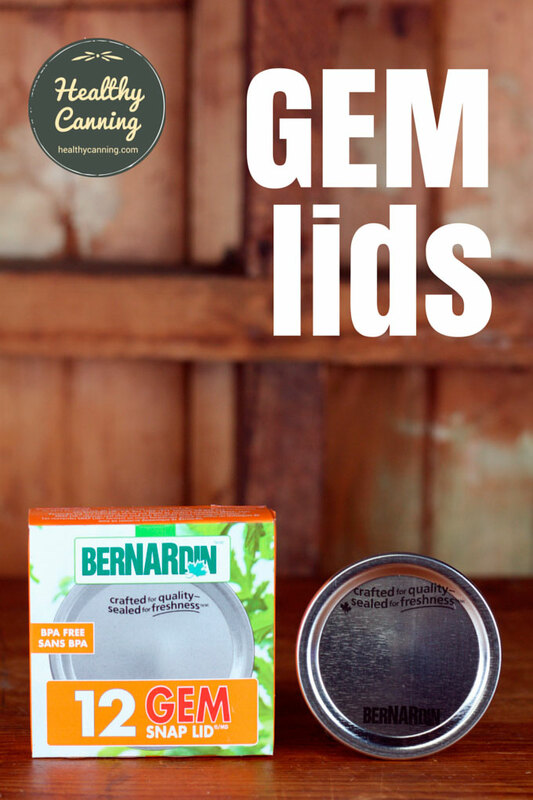 Bernardin brings back gem jar lids. The Meridian Booster. 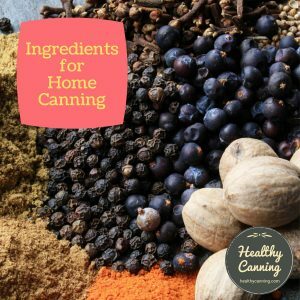 HealthyCanning.com has been unable to trace what happened subsequently to Tirebuck’s company after Bernardin re-entered the market for the lids. It does not seem to have continued. In addition to the lids, the rings are still being made and sold as of 2016. 2. ↑ KarenBC posting in Backwoods Home Forum. 7th August 2012. Accessed March 2015. 3. ↑ Lockhart, Bill, et al. Consolidated Fruit Jar Co. Version from 22 August 2014. Page 462. Accessed March 2014. 4. ↑ Rosenbatt, Joseph. Commodity Technology: Is the Jar Full at All? March 2003. Accessed March 2015. 5. ↑ Prairie home canners lose lids, temper. CBC News. 26 August 2002. Accessed March 2015. 6. ↑ Rogers, Diane. Food preservers say they need a million gem lids. The Western Producer. 31 October 2002. Accessed March 2015. 7, 11, 14. ↑ Bryksa, Joe. Canners in a Pickle: Sudden demise of gem jar lids leaves Prairie folks feeling betrayed. Winnipeg: Winnipeg Free Press. 21 August 2002. 8. 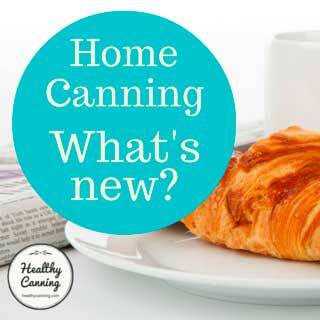 ↑ Home canners claim victory over Gem jars. CBC News. 24 January 2003. Accessed March 2015. 12. 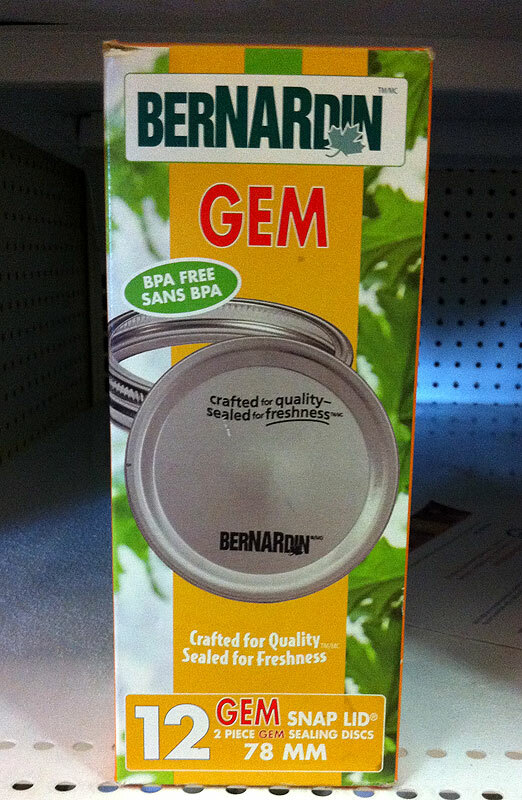 ↑ Bernardin brings back gem jar lids. The Meridian Booster. 29 January 2003. 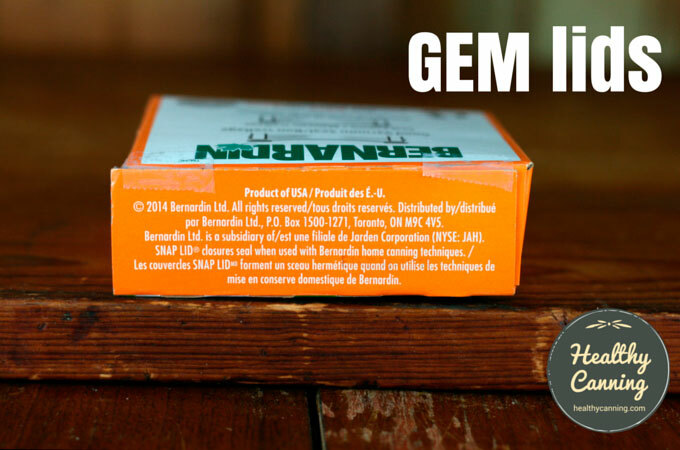 Accessed March 2015 at https://www.meridianbooster.com/2003/01/29/bernardin-brings-back-gem-jar-lids. 13. ↑ Rosenbatt, Joseph. Commodity Technology: Is the Jar Full at All? March 2003. Accessed March 2015. 15. ↑ Rogers, Diane. Food preservers say they need a million gem lids. The Western Producer. 24 July 2003. Accessed March 2015. 16. ↑ Prairie home canners lose lids, temper. CBC News. 26 August 2002. Accessed March 2015. 17. ↑ Prairie home canners lose lids, temper. CBC News. 26 August 2002. Accessed March 2015. 18. ↑ Rogers, Diane. Home canners snap up new gem jar lids. The Western Producer. 24 July 2003. Accessed March 2015. 19. 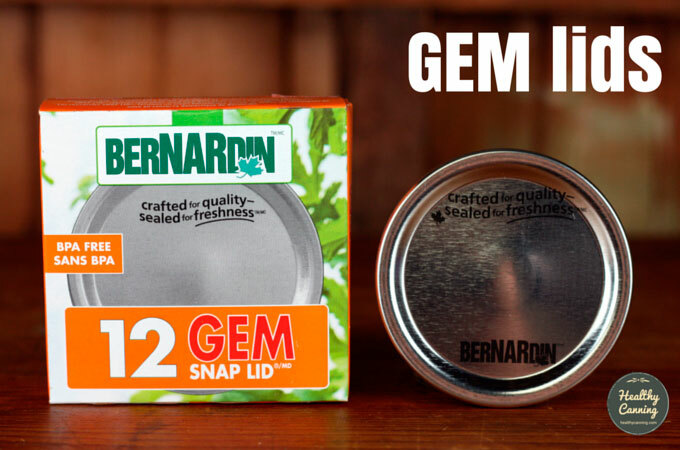 ↑ Bernardin brings back gem jar lids. The Meridian Booster. 21. ↑ Home canners claim victory over Gem jars. CBC News. 24 January 2003. Accessed March 2015. 22. 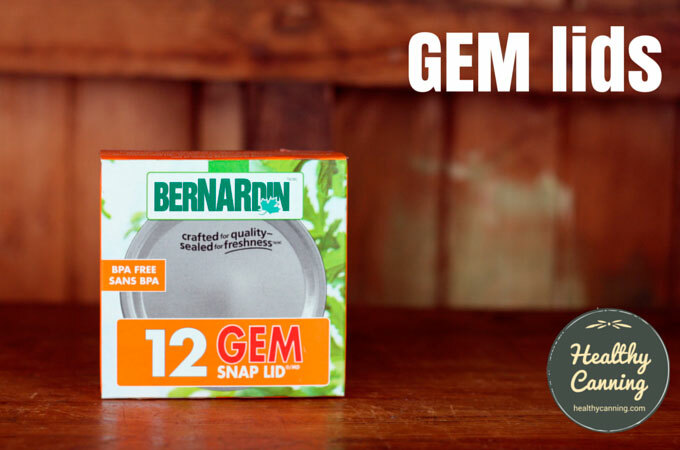 ↑ Bernardin brings back gem jar lids. The Meridian Booster. I have been concerned about Ball/Kerr cornering the US market and now my concerns are being seen as justified (major typos affecting safety in the new Ball Complete book). I actively seek out alternatives to Ball/Kerr lids. As a US canner, all my jars are 70 or 85 mm except for a few Gems I keep for display. If anyone has contact with Mr. Tirebuck or his successors I believe many US canners especially in the border states would be interested. 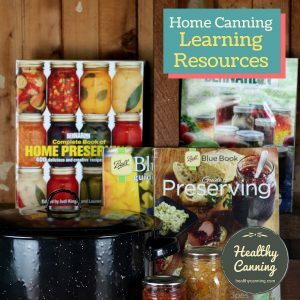 Has anyone any info on what happened with Mr. Tirebuck and his CANadian Home CANning Inc.? 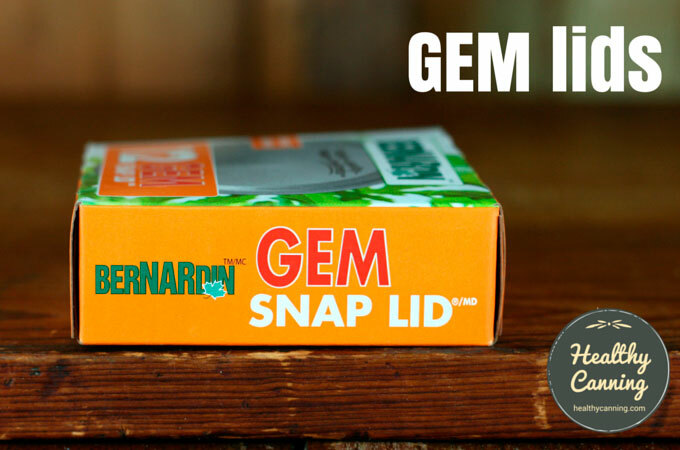 I much prefered their brand of Gem snaplids. I can’t seem to locate any info. If you are still looking for alternatives, you can try these lids: https://store.orchardroadcanning.com/collections/lids-and-bands. I like them a lot, and they have a nice little rim around the edge that seems to help the lid seal better. i am down to my last 2 packs of crown jar lids i own 90 crown jars its all i ever used given to me by my father given to him by his somewhere in some small corner somwhere there must be some of these just waiting for me can you help ? Do you mean the glass parts? I have two Crown jars (probably replicas), but no lids. Do the “Gem” lids at Canadian Tire fit these jars? I would love to have a lid of some kind. 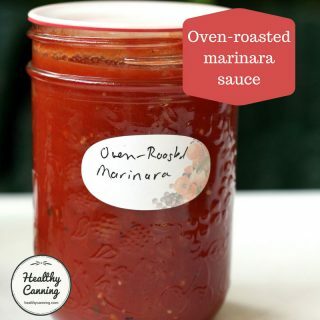 Do you know of any metal (or something else) replacement lids that fit the big Crown jars?